Manufacturers are often good at collecting data, but bad at making sense of it. Humera Malik’s AI platform puts their numbers to work. Humera Malik was 12 years old when she caught the tech bug. As a young student in her native Pakistan, she was bored with rote math homework and decided to find a way to solve the long lists of equations more quickly. Fast-forward 30 years and Malik is still finding ways to make repetitive processes easier—though she has taken it a few steps further. Today Malik, co-founder and CEO of Toronto-based Canvass Analytics, develops a software platform that uses artificial intelligence and the Internet of Things (IoT) to help businesses streamline complex manufacturing processes. She says AI strengthens businesses because it can drastically reduce the time and cost of interpreting data and making decisions based on it. At the same time, Malik is quick to point out that just incorporating AI into the manufacturing process doesn’t guarantee positive results. Many companies spend a lot of time and money hiring experts and creating toolkits that will assess their data, she says, but this approach is not scalable, especially when considering the large volumes and types of data involved in manufacturing. “Industry is typically data rich, but information poor,” Malik says, adding that her platform allows for repeatability and scale, converting text-based, numerical and other types of data into information that companies can actually use in their day-to-day operations without the need to hire an expert. Her growing list of clients seems to indicate she’s hit a nerve. Canvass works with Fortune 500 and Fortune 1000 companies around the globe. And although their privacy prevents her from naming names, Malik says they include some of the world’s largest companies in steel manufacturing, pulp and paper production and agricultural processing. In most cases, Malik says, these companies want software that helps make their current operations more efficient, and detect equipment failures before they happen, so they can better plan for them. Malik got her start in AI and IoT when she first moved from the U.S. to take a job heading up the new Smart Buildings Solutions at Bell Canada in 2005. “We were embedding technologies in these very complex environments with lots of equipment and lots of machines operating. You’d put sensors on those machines to collect data related to them.” But Malik noticed a problem: Companies could gather a lot of data, but how could they put it to use? She saw a huge opportunity. “The industrial market was a sleeping giant,” she says. Beyond its client list, there is other evidence that Canvass is gaining momentum. To date, it has done two rounds of VC financing—US$1.6 million from Canadian venture capital firm Real Ventures in 2017 and US$5 million from Google’s Gradient Ventures, along with Bedrock Industries, Viaduct Ventures and Real Ventures, earlier this year. 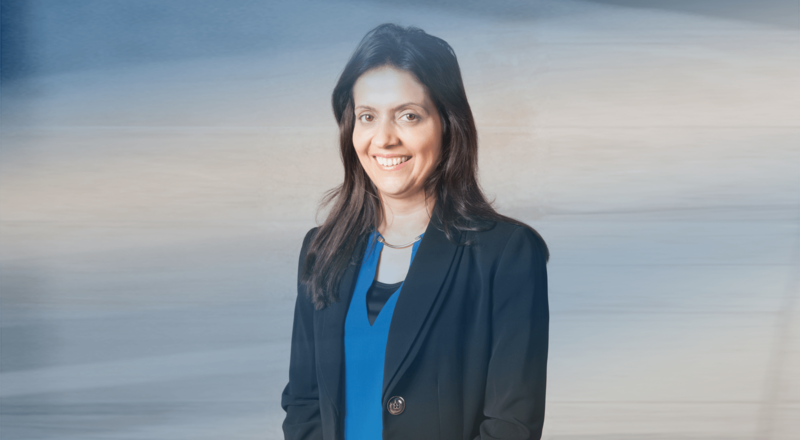 In September, it was named a CIX Top 20 Most Innovative Company and also made Network World’s 10 Hot AI-Powered IoT Startups list, while Malik herself was a recipient of the 2018 RBC Canadian Women Entrepreneur Awards in the “Ones to Watch” category. Malik welcomes these successes. For two years before launching Canvass in 2016, she spent hours at her computer on countless evenings to create software that would solve inefficiencies. Kind of like she did for those math problems on the family computer, many years ago. Today, she’s ready for the “sleeping giant” to wake up.